I only click on the button "view posts since last visit" and click whatever title interest me. Everything in CB, Entertainment, Lounge, and Gaming. i used to visit all the sections. now, i just stick around the lounge. i visit all of them still. 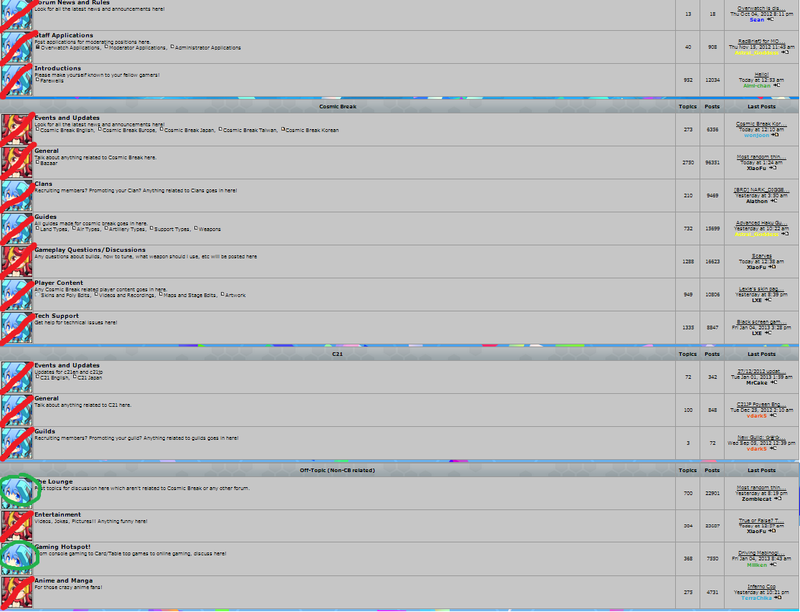 Scroll from top to bottom and check all the threads i can see, except the top 3 sections and those C21 one. Then General-->Guide-->Gameplay. I check The Lounge, Gaming, Anime and Manga, and Clans on a regular basis. I check guides and Gameplay Questions/Discussions once in a while, and General, Fanart/Fanfiction on a blue moon. Location : In a House next to my neighbor's house.